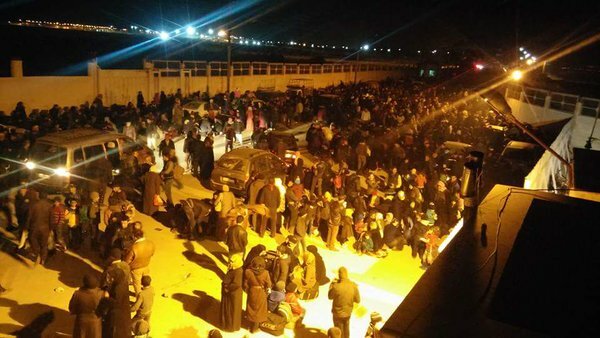 UPDATE 2030 GMT: Thousands of people in northern Aleppo Province are fleeing the regime-Russian-Hezbollah offensive. 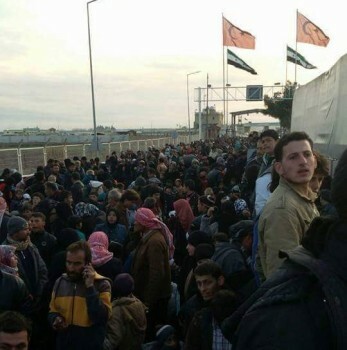 The situation is compounded because of the closure of the Bab al-Salama crossing on the Turkish border. Photographs are circulating which claim to be of a woman killed when she was shot in the face by Turkish soldiers as she tried to cross the border. 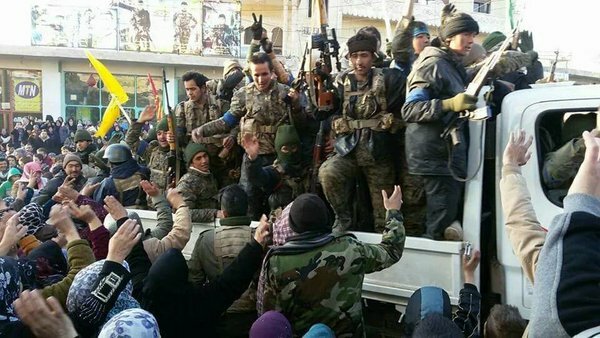 ORIGINAL ENTRY: An offensive led by Hezbollah and the Syrian Army’s 4th Mechanized Division reached regime enclaves of Nubl and al-Zahraa in northwest Syria on Wednesday, more than three years after they were largely surrounded by rebels. State news agency SANA declared the breakthrough north of Aleppo city: “Army and Armed Forces units operating in Aleppo’s northern countryside, in cooperation with groups of popular committees, broke the siege imposed on Nubl and al-Zahraa towns by terrorist organizations”. 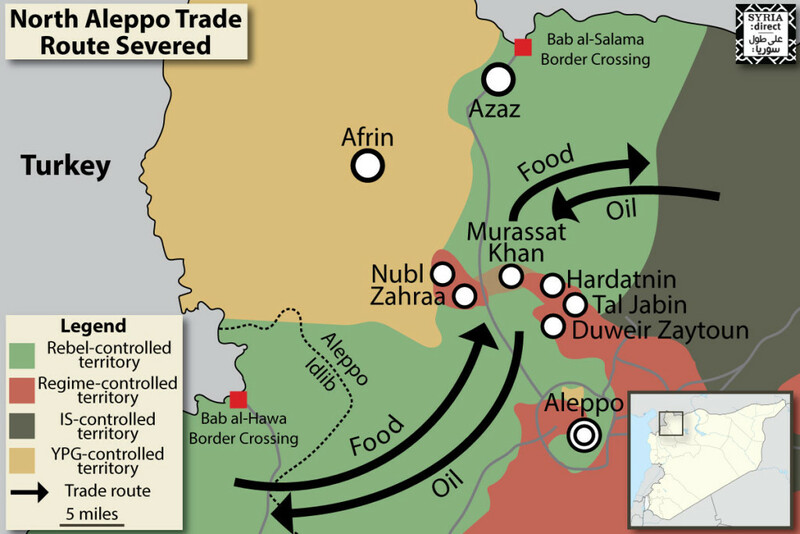 Rebels closed on the enclaves in 2012; however, supply convoys have been able to reach the areas, including regime forces, through territory controlled by the Kurdish militia YPG from the nearby town of Afrin and by airdrops. The offensive — accompanied by intense Russian bombing and including Iraqi and Afghan militias as well as regime forces — began earlier this week with the capture of a series of villages. Yesterday rebels and the jihadists of Jabhat al-Nusra pulled back to regroup elsewhere in Aleppo Province. The regime offensive is also hoping to cut rebel supply lines between the Turkish border and Aleppo city, parts of which have been held by the opposition since July 2012.